The Toxicology Forum (“ToxForum” or “The Forum”) is an international, nonprofit organization that is devoted to conducting open dialogues among various segments of society concerned with problems in toxicology. 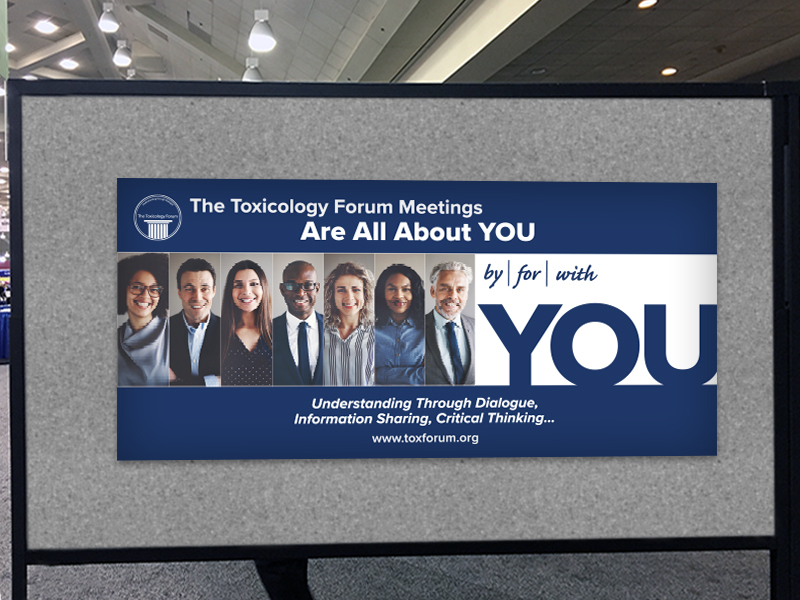 At ToxForum meetings, views are exchanged among experts from domestic and international government regulatory and health agencies, industry, academia, “political policymakers,” and public interest groups. 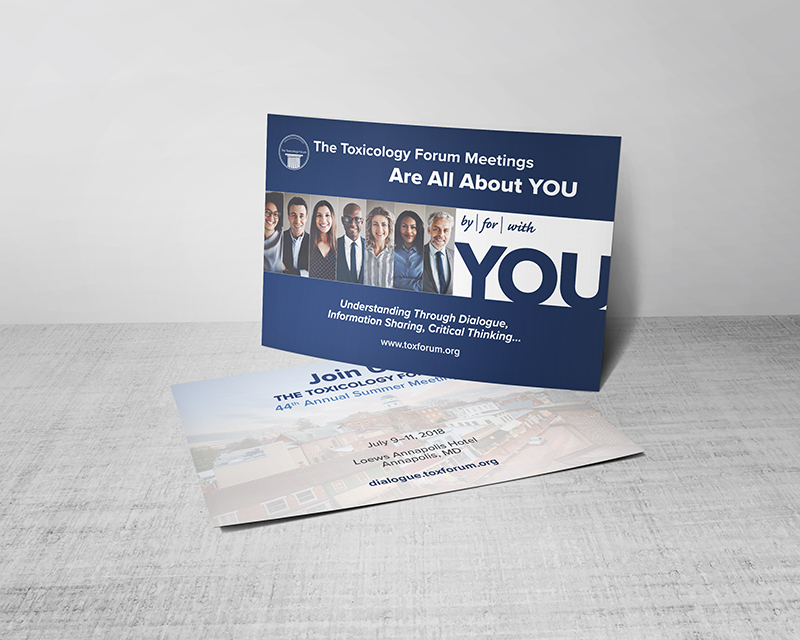 ToxForum aims to provide a scrupulously balanced approach to the topics and issues presented their meetings, with alternative positions presented for each issue. Description: This poster was designed to reach out to a more diverse set of potential attendees (and members), than traditionally sought. (i.e., namely, younger and more ethnically diverse). This poster was displayed at various international conferences throughout the year. The accompanying postcard served as a flyer and was given out at events. 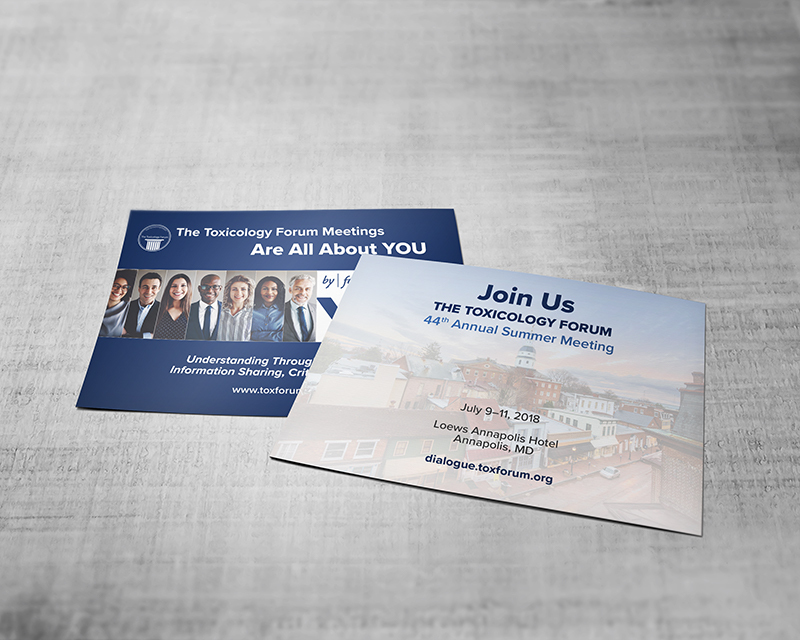 *Created while Gloria was an employee of AIM, Inc.; ToxForum is one of their clients.